The fixtures for next month's UEFA European U17 Championships have been finalised. 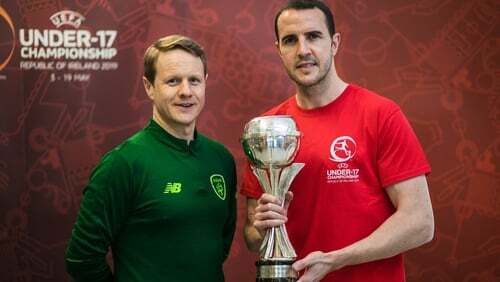 Colin O'Brien's Republic of Ireland team will kick off their tournament at Tallaght Stadium on Friday, 3 May when they take on Greece at 8pm. Ireland's second game is against the Czech Republic in Waterford where the RSC will host their clash on Monday, 6 May, before they return to Tallaght Stadium to finish off Group A with a game against Belgium on Thursday, 9 May. Other matches will be played in Bray's Carlisle Grounds, Longford's City Calling Stadium, Home Farm FC, Tolka Park, and UCD Bowl.